We are professionals in the field of sanitation. We live in a changing world, which has an evolving culture of cleanliness and hygiene, a world that creates new situations, new expressions, new problems difficult to solve. Nowadays, many establishments take care of their image, which for us, is our main concern from the point of view of cleanliness and sanitation. We use technology and raw materials, which together with the professionalism of OSAVI within environmental awareness and a code of ethics ensures the safety of our consumers. Thanks to this site, we intend to bring you into the world of cleanliness and sanitation through our products. We hope to serve you as a point of reference and fulfil your needs. 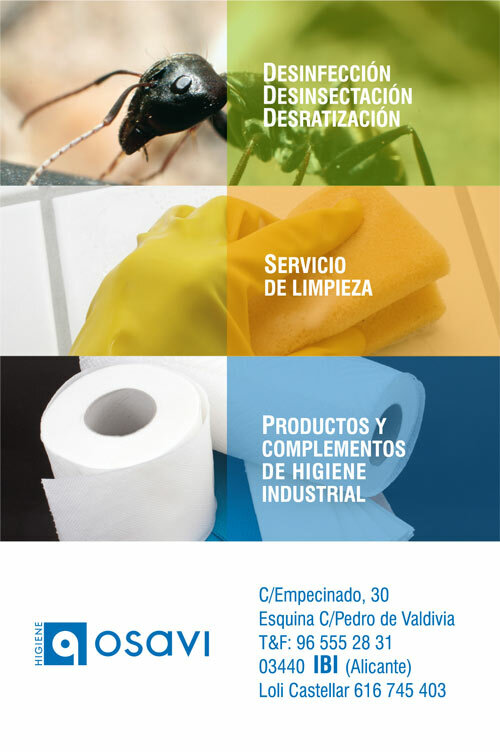 We put at your disposal the possibility to make customized sanitation projects. These sanitation projects have everything so that your company complies with the legal requirements of health and safety. Trust OSAVI and allow us to put you a whole world of products that will do cleaning enjoyable.